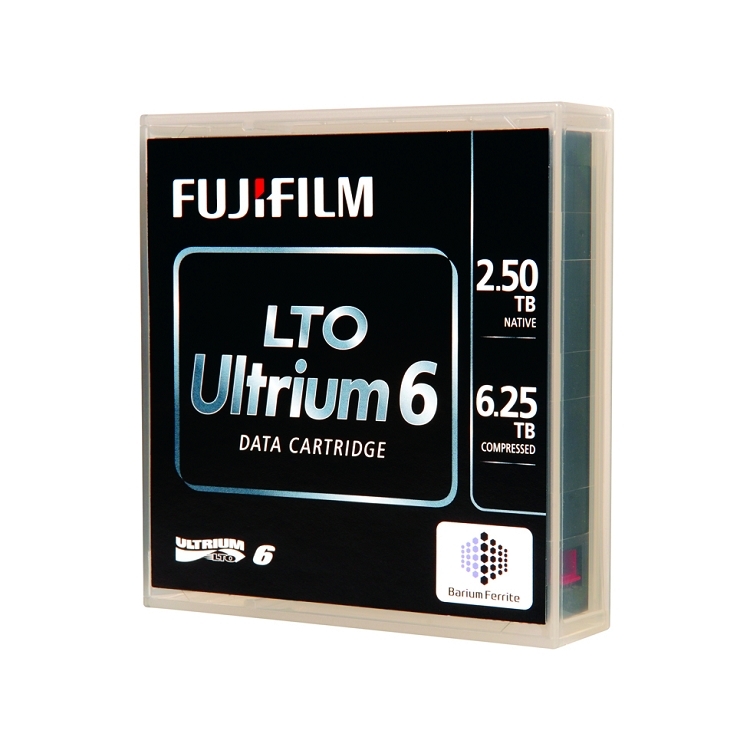 LTO Ultrium 6 cartridge , a magnetic tape media certified by the Linear Tape Open (LTO) Technology Provider Companies (TPC). Fujifilm achieved the super high compressed capacity of 6.25TB with a transfer rate up to 400MB/sec. by applying Fujifilm's original Barium Ferrite magnetic particles to the current NANOCUBIC technology.